By Costa Maragos Posted: August 10, 2017 6:00 a.m.
How believable are children when testifying in a court of law? It’s a question often asked, particularly during high profile criminal court cases that involve children. 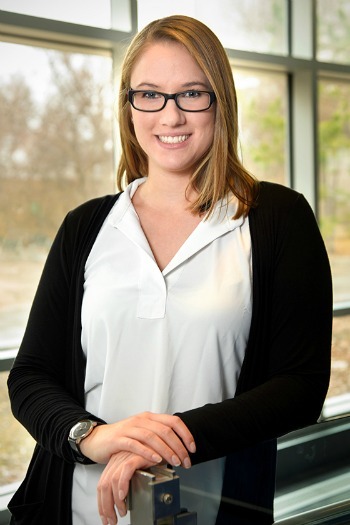 Kaila Bruer, a postdoctoral research fellow at the University of Toronto, is conducting critical research in this area with hopes of understanding and improving children’s memory and experience when testifying. Her work at the U of T is a continuation of her PhD research, recently conducted at the University of Regina. She worked under the supervision of Dr. Heather Price, Associate Professor in the Department of Psychology at the University of Regina. Bruer has defended her dissertation and is now doing her post doc at the U of T.
We spoke with Bruer about her research and the difference it’s making in ensuring the credibility of child testimony in the justice system. Tell us a little more about your research. Broadly speaking, my research focus is on children’s participation in the justice system and the factor affecting child witness testimony, including memory, suggestibility and truthfulness. My principal research focus has been to understand and improve children’s memory for people and events. Children’s participation in the justice system, though often required as the only witness to crime such as child sexual abuse, is often a negative experience for children. What do you mean by a negative experience? Children who have repeatedly testified as victims of crime have been robustly demonstrated to have poorer long-term physical and mental health than children who are victims of crime but have not testified. The body of work that I conduct seeks to facilitate children’s participation in the justice system by adapting the system to better suit their abilities and needs. Thus, my research focuses on learning about and finding ways to improve the accuracy of children’s evidence in order to assist all children who are asked to provide testimony. In your research, you have looked at trying to understand children’s eyewitness identification. What areas of concern exist here? I have focused on understanding children’s memory capabilities in the forensic context. Although children’s memory can be very accurate, they frequently make more errors on eyewitness identification tasks than adults. The cause of children’s poorer identification performance is not fully understood but is thought to be due to some combination of social and cognitive factors that differentially impact children and adults. My research focuses on understanding what those factors are and what avenues the legal system can take to overcome the problems we are observing. What have you come up with in your research? In my dissertation research conducted at the University of Regina, I developed a new lineup procedure, called the repeated-forced choice procedure (RFC). This divides the identification task into a series of exhaustive binary, similarity comparisons. You can think of the procedure like a round-robin tournament of faces. Results indicated that children, 9 to 11 years old, and adults performed at least as well with the RFC procedure as with a standard lineup procedure and that there was also substantial benefit. The RFC procedure offers additional information about how to weigh the quality of responses based on estimates of memory strength. This research is important because it provides support for the use of a new police lineup procedure that provides more information about a child’s memory for a suspect than any other existing procedure. My upcoming research will focus more on understanding truthful and untruthful communications during disclosures of maltreated and non-maltreated children. I will be working with Dr. Kang Lee to investigate how verbal and non-verbal behaviour can distinguish truthful versus untruthful communication in children. I will use innovative facial imaging technologies to measure overt (e.g., facial expressions) and covert (i.e., facial blood flow that indicates emotion) facial behaviour present during truthful and untruthful communication. My goal in conducting this research is to help advance our understanding of the relation between truthfulness and facial activities and to provide a tool for use by personnel in the legal system to help identify credible and accurate disclosure of abuse from children. Ultimately, I hope that this research will play a role in promoting the well-being of children and improving the legal system. You have conducted much of your research in this area at the U of R. What has your experience here meant to you and your work? Yes, my PhD research was entirely conducted at the University of Regina. My experience at the UofR was a great one. Much of the positive experience was due to the environment that stems from being a part of a smaller, supportive department. During my time at the UofR, I had the opportunity to collaborate with, and learn from, many different faculty members, including my fantastic advisor Dr. Heather Price. The result of the supportive environment was that I was able to successfully obtain competitive funding that supported me throughout my doctoral degree. Specifically, I was supported by a Canada Graduate Scholarship from the Social Sciences and Humanities Research Council of Canada. In addition, my experiences provided to me by the Uof R played a large role in my ability to secure competitive funding to support my research postdoctoral research at the University of Toronto.